Accurate shade selection is paramount to the success of restorative dentistry and patient satisfaction. Technical and chairside support is available for complex cases where shade selection may be more difficult. Digital shade taking increases the ability to shade match and consistently reproduce shade accuracy between the clinical setting and the laboratory. NDX laboratories have the ability to utilize digital shade guides to match and check shades for consistency and accuracy. Our NDX account executives also offer educational programs to enhance staff understanding of the shade selection process that provide 1 hour CE credit for both doctor and staff. 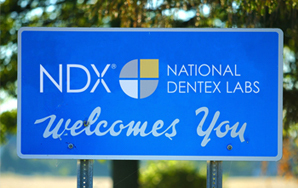 Local community labs, which are owned and operated by National Dentex Labs, are dedicated to build personal relationships, exceptional service, including drivers, chairside expertise and on-site learning opportunities. 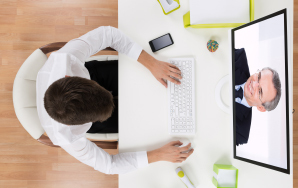 Customers have access to a full spectrum of products all supported by a team of experienced technicians. We offer the simplicity of working with one strategic partner to provide you with unique products & services for every aspect of your dental enterprise; from offshore to high-end aesthetics; local or national labs; chairside service to mail order. NDX combines the power and flexibility of our nationwide network, with the service and responsiveness of our local laboratories.